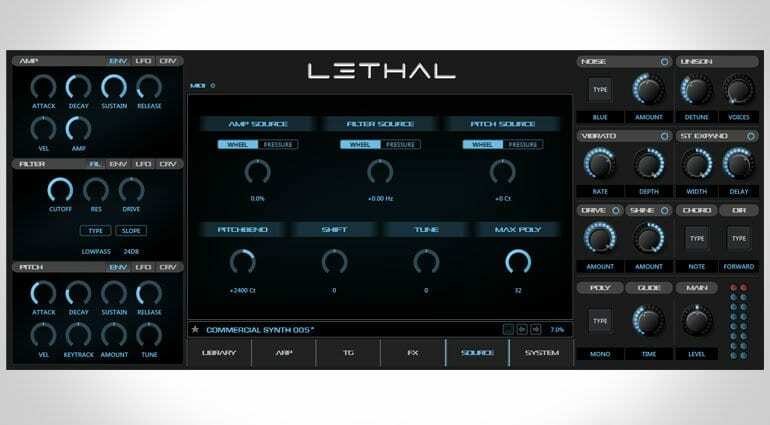 Will Lethal Audio’s new synth kill you? 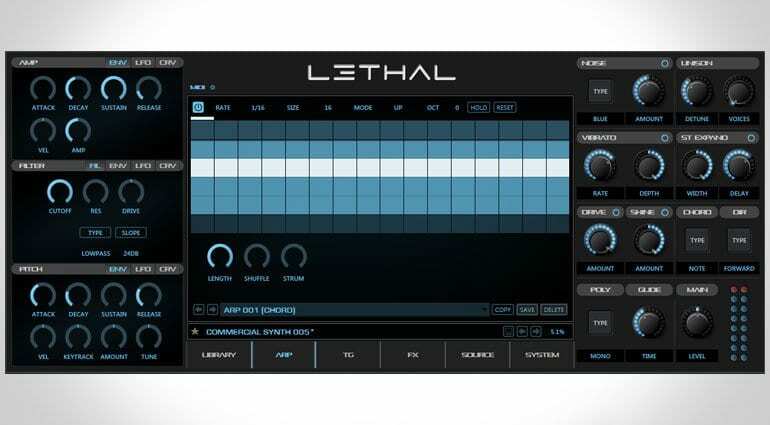 Lethal Audio have just emerged from a couple of years of development to release their debut synth, their namesake, “Lethal”. Apparently it’s a “brand new world of sounds” designed for “all genres” but appears to be firmly pointed at House, Trance, Hip-Hop and EDM. With 5GB of library, 1200 presets and 2140 percussion samples are they killing it or just mildly poking it with a stick? Well, first of all it’s not really a synth, it’s a sample based instrument with some synth style editing, filtering and effects section – which is nothing to be ashamed of. 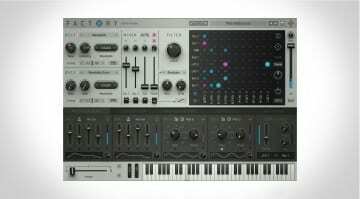 Sample based instruments are cool, Kontakt is packed full of them so I’m not sure why they want you to believe it’s using regular forms of synthesis. However, the synth section is pretty comprehensive. On the left of the interface you’ve got pitch and amplitude envelopes, both with LFOs and a choice of curves, and a filter with 7 types, drive and the same LFO and curve options. On the right you’ve got some more unusual parameters for a rompler – you’ve got Noise, Unison, Drive, Shine, Vibrato, Stereo Expansion, Chord, Direction, Poly and Glide all of which I guess give it more credence as a synth. 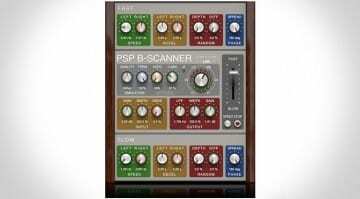 So you’ve got some good stuff to play with to get those samples sounding unique and interesting. On the effects side, accessible at the bottom, you can load up to 6 effects in a chain from a choice of Reverb, Delay, Chorus, Phaser, Distortion, EQ and Bitcrusher. You can drag and drop them around in the chain and all the controls are neatly and clearly laid out in the middle section of the interface. The middle section, along with the library manager, also gives access to the Arp and Trance Gate sections where you can introduce a fair bit of movement and dynamic to your sounds. The arpeggiator is very simple, 16 notes with a bunch of presets ready to go but it’s also quite neat to use letting you make adjustments quickly and easily. 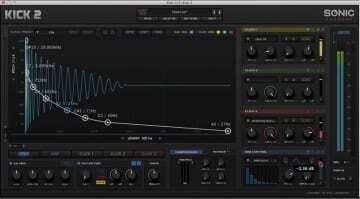 The Trance Gate is similarly simple with lots of good choppy gate effect presets and and a bunch of controls that very quickly moves things out of the ordinary. Lethal’s strength though perhaps lies in the huge library of sounds that are all categorised, filtered and ready to play. 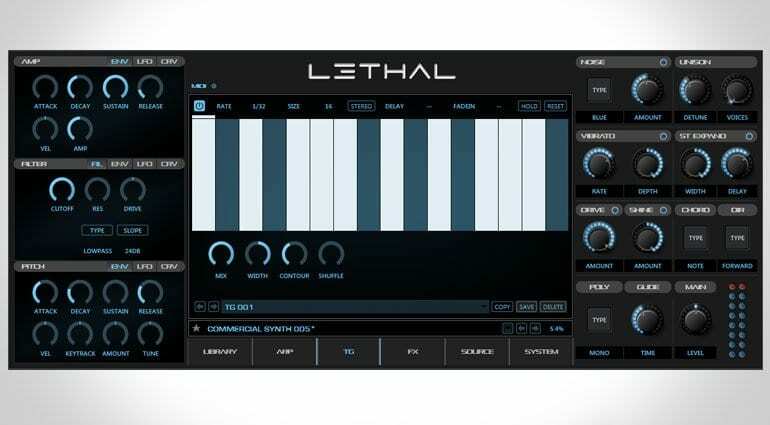 Lethal Audio also claim that owners will receive free expansion packs until June 2017 – although there’s no information on what they might be. 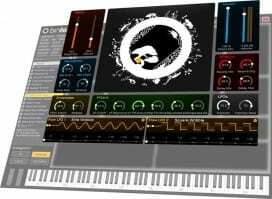 The range of sounds coupled with an unusual amount of editing, tweaking and sound creation makes this a decent choice if you’re looking for an EDM style software workstation. 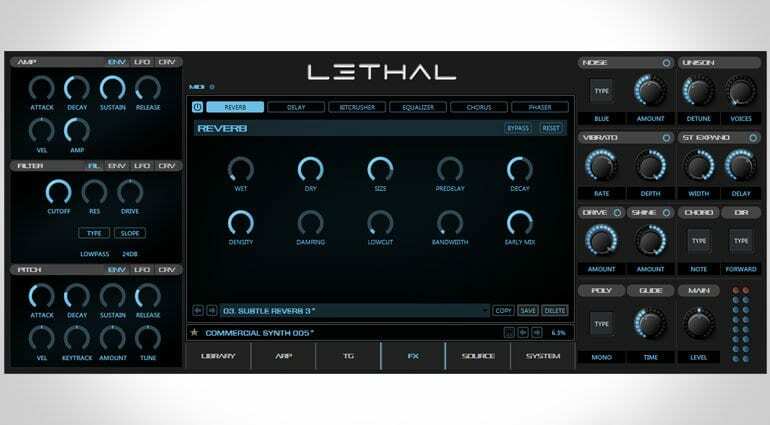 Lethal is available now for $199 for OSX and Windows in VST, AU and AAX formats. 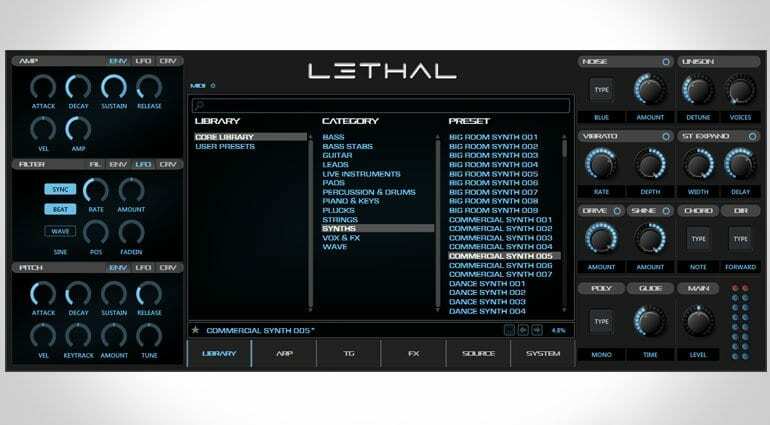 More information and some videos on the various aspects of Lethal can be found on their website.